We will explore the significance of Brady violations, including an examination of the case of Congressman Ted Stevens. 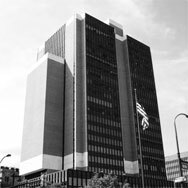 The Federal Criminal Law Committee's first 2017 General Meeting: Friday, March 17, 2017, 12:00-1:30 p.m., Post & Schell, P.C., Four Penn Center, 13th Floor, 1600 J.F.K Blvd., Philadelphia, PA.
Three nationally recognized White Collar specialists will regale us at our December annual meeting on the tactics they deployed in their successful defense of three pharmaceutical executives in two trials in Boston this summer. Location: Post & Schell, Four Penn Center 1600 John F. Kennedy Blvd., Philadelphia, PA. Panel: Amy Baron-Evans, Nina C. Spizer, and Ronald H. Levine Moderator:Riley H. Ross III. Monday, June 20, 2016, 12:00 noon, Dilworth Paxson, 1500 Market Street (East Tower), Suite 3500E, Philadelphia, PA.